Aren't some of those traditional patterns so difficult? All those little pieces and intricate sewing techniques are just too time consuming for your busy life. We feel the same way! With some creative, outside the box thinking, we've developed simplified methods to help you make that quilt you've been dreaming about. Can you imagine making a Double Wedding Ring Quilt without the tiny pieces, without the curved seams, without the binding, then quilting it block by block? 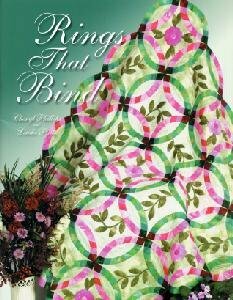 If so, the Rings That Bind method is for you! Step by step illustrations guide you through the unique process. One tool, the Arc-Ease, does it all and it's included right in the book! Click here for videos demonstrating this technique or read more on the product page for Rings that Bind. 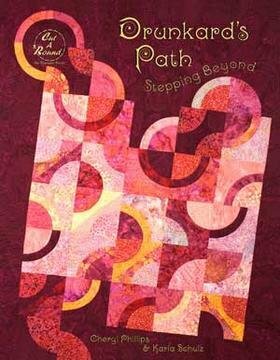 Another tricky traditional design is the Drunkard's Path. 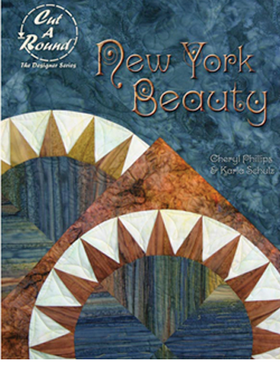 Curved piecing is made easy with the Cut-A-Round and the time saving techniques in this book. 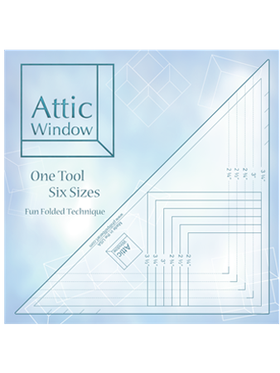 Coming soon: the Attic Window tool takes this traditional block and eliminates the "Y" seam.